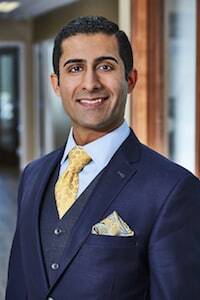 Reza Davani has worked on both sides of the aisle, representing local, national, and international companies, governmental entities, and injured victims as both a plaintiff and defense lawyer. He has represented clients and worked on matters in state, federal and bankruptcy courts around the country, including in Maryland, Mississippi, Washington D.C., New Jersey, California, New Mexico and Massachusetts. Before he received a license to practice law, he achieved early success during law school with a successful briefing which convinced the Fourth Circuit Court of Appeals to reverse a district court judge's grant of summary judgment. That victory confirmed that in Maryland, if there is a dispute between an insurer and its insured regarding receipt of a notice sent to the insured, the insured's denial of receipt alone is sufficient to rebut any presumption of receipt of that notice, require that summary judgment be denied on that issue, and necessitates submission of the issue to the trier of fact for resolution. Goldstein v. Lincoln Nat. Life Ins. Co., 440 F. App'x 225, 227 (4th Cir. 2011). He knows how to think outside the box, and successfully presented a novel argument extending the duty of real-estate closing agents in Maryland. A plaintiff who was a party to a real-estate transaction approached Mr. Davani after the defendant title company had already filed a motion for summary judgment arguing it owed no duty to the plaintiff. Within ten days, Mr. Davani briefed a successful opposition which convinced the trial judge to rely on persuasive authority from other jurisdictions to fill the void in Maryland's law on this issue. Schoenemann v. Residential Title And Escrow Co., Case No. 03-C-10-012091 (MD Circuit Court, 2010). Within one week of the court denying the defendant's summary judgment motion, a successful settlement was negotiated for Mr. Davani's client. That early success has followed him as he has negotiated favorable settlements for dozens of clients in Circuit Court matters throughout Maryland. He also has extensive experience taking cases to trial and handling appellate matters. He has experience in complex litigation, commercial litigation, franchise disputes, catastrophic injuries, qui-tam, product liability matters, and a variety of personal injury matters, including auto collisions and premises liability. He brings these collective experiences to bear when advocating for the rights of injured victims. At Miller & Zois, Mr. Davani is devoted exclusively on car and truck accident, medical malpractice and other personal injury claims on behalf of injured victims. He is also committed to his community and has done non-profit legal work for a public defender's office, the Prisoner Rights Information System of Maryland, Inc., the Mississippi Center for Justice, and a clinic representing ex-offenders.